Olivier EI8GQB (who is also ON4EI) plans to operate for most of July from a caravan, using “green energy” – solar and wind power. He has a 500Ah battery bank, plus 180W solar panel and a 400W wind generator. 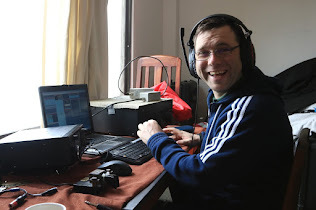 He plans to use the EI80IRTS call sign during the IARU HF Championship contest this weekend and will use the contest call sign EI1A (Echo-India-One-Alpha) during the IOTA contest at the end of the month. Olivier’s QRZ.COM page will carry a Live Information Banner with messages and live frequencies as well as daily information with photos and video.